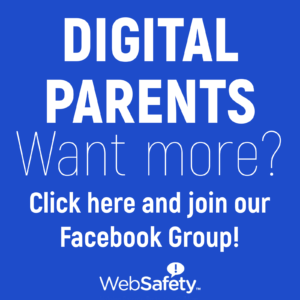 This article is part of a WebSafety’s Digital Parent Voices series. All ideas expressed are the writer’s own. And then there’s us — mostly screen-free. We don’t have a TV. My kids, ages 6 and 3, have never heard me use the phrase “screen time.” I limit my smartphone use to the essentials when I’m parenting. And, honestly, my kids don’t ask to watch shows or play games on our devices — it’s simply not on their radar. Raising screen-free kids isn’t always easy. In fact, the prevalence of screens these days sometimes gives me the feeling that everybody else is doing it. 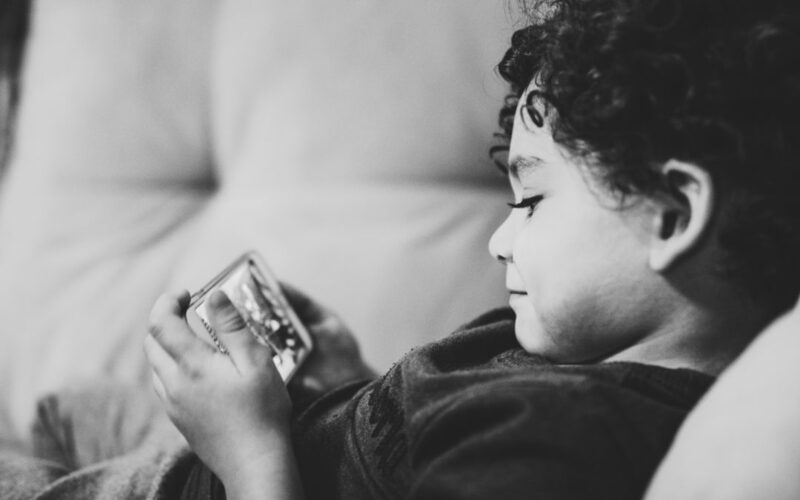 And I occasionally find myself wondering if maybe I’m being too extreme — if there might even be some benefits to introducing a little screen time into my children’s lives. But wait. We know the research: Screen time is a factor in childhood obesity. Screens negatively impact kids’ sleep. Screen time is linked with delayed language acquisition. And then there are the psychological issues and learning difficulties and — OK, I’ll stop there. I have no doubt all of us want the best for our kids. But I think each of us, at times, has fallen victim to some of the false arguments for screens. Here are four of those false arguments that have also weighed on my mind, and why I don’t worry about them anymore. 1. But my children will be using technology in the future. They need to be tech-savvy now to stay ahead of the competition! Bill Gates wasn’t born with a tablet in hand. Steve Jobs didn’t begin using computers until he was 12 or 13. The technology geniuses of our time — Google’s founders, the Amazon creator, Wikipedia’s founder — went to no- or low-tech Montessori schools. Not only that, these same people — the tech execs and engineers in Silicon Valley — are putting their kids in no-tech Waldorf Schools. These are the parents who best understand tech — and its dangers. Think about how quickly YOU adapted to your screen-filled life. We’ve all seen how rapidly the tiniest fingers can figure out how to unlock a phone or swipe through photos. Our kids have plenty of time to become tech-savvy. To keep up in this high-tech world, they don’t need fancy gadgets and more screen time — they need sharper minds. And those sharper minds are best built in the real world, not the virtual world. 2. But I want my child to fit in! My firstborn started kindergarten a couple months ago, and as I’ve sent him off into the world, I have had the thought: What if he’s the only kid in school who hasn’t seen “Moana” (or “The Incredibles,” or “PAW Patrol,” or fill-in-the-blank)? I’ve also had visions of the future, when my kids will inevitably ask to see a movie or show that their friends have raved about — but that I don’t feel comfortable with. There is a chance this screen-free lifestyle will, at some points, be difficult for my kids socially. I remember the angst I felt as the only 2nd grader to wear glasses — but I don’t remember it being a social deal breaker. I remember feeling pretty lame when I didn’t make the 7th grade basketball team — but I don’t remember anyone thinking less of me. I didn’t watch much TV as a kid, and I do remember feeling a bit on the outside when peers would talk about shows or music videos I hadn’t seen. But I don’t remember anyone not wanting to be friends with me because of it! As they age, our kids will find they have a lot in common with their peers; in other ways, they may feel a bit out of place. Let’s allow our differences to provide opportunities to build resilience. Don’t let your fear of your child being the “only one” who hasn’t seen a particular show or movie be the reason you allow it! 3. Some of the content seems really good! It may be educational or promote good morals. Some surveys show as many as seven out of 10 parents care more about what their children watch than how much their children watch. We feel less guilty if that screen time seems “educational,” right? But research shows our young kids comprehend far less than we might hope or expect. In one study that measured preschoolers’ comprehension of an age-appropriate TV show, a majority of the kids understood less than half the tested information. In another study, where 4-year-olds were shown a 20-minute fairy tale, only 20 percent of the kids understood the story line. Four out of five kids simply didn’t get it. So the show that is promised to be highly educational is probably going right over your little one’s head. 4. But I need to take a shower (or work, or exercise, or make a phone call), and the screen is a free babysitter! This one might just be the biggest temptation for parents. When you hit “play” on “Daniel Tiger” and your little ones enter that screen-induced coma, you have the chance to get stuff done! But I firmly believe other activities can keep your child just as safely entertained during those few minutes you are unavailable — and these other activities will have greater long-term benefits. This parenting thing was happening long before screens were invented, and our kids can only benefit from knowing how to play without mom by their side to watch over them and entertain them. My 3-year-old reads in my bed most mornings while I shower. I set him up with a stack of library books and a bowl of dry Cheerios, and he reads and snacks while I shower and get ready. Sure, I may have stray Cheerios in my bed, but at age 3 he’s learned the important life skill of enjoying solo reading time, and I’m getting a peaceful shower every morning! If you have aspirations to cut back on your family’s screen use but have felt some of these concerns, you’re not alone! Here’s to a renewed commitment to help our kids become their best selves — away from the trap of screens! Ashley Dickson is a mother of two boys from Boston. 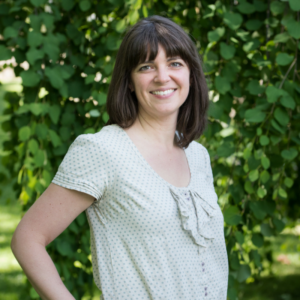 She is a freelance writer and editor with a master’s in library science and a degree in journalism. You can often find Ashley exploring the wonders of New England with her boys; visiting museums, parks and libraries or exploring nature, although she prefers hibernating during the winter. Because she is saving “screen time” for when her boys are older, she strongly believes in creative play and a messy house. Good info! I’m glad you’re raising kids screen-free.